It took thirty exhausting minutes to climb the sand dune. I spent the entire climb trying to convince my friend that we didn’t need to go all the way to the top, the view from the middle would be just as good. It was serious work out for the thighs! But her stubbornness was in the end our gain. “Pull yourself together and get up that dune! I promise, every welding sputter will be worth it when you see the view” she said. And my goodness, she was right! 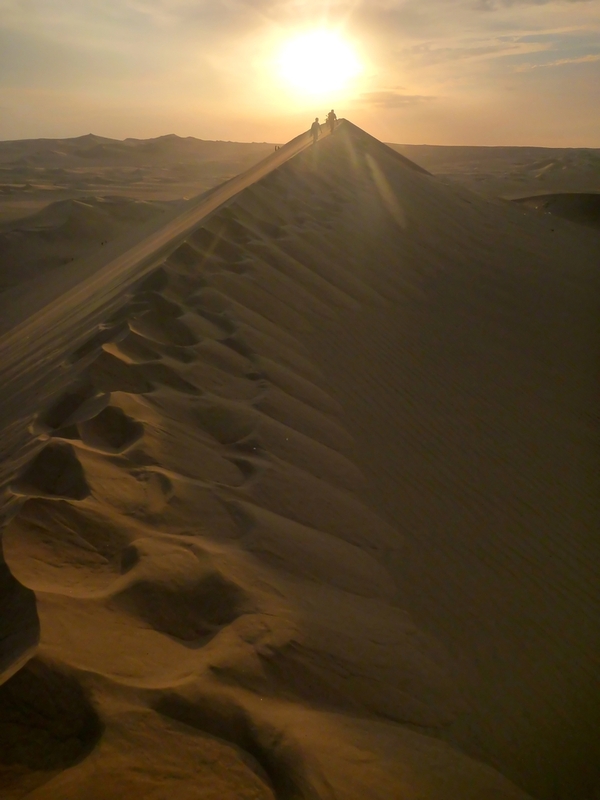 The following morning we went on a dune buggy ride, which took us out to the desert. 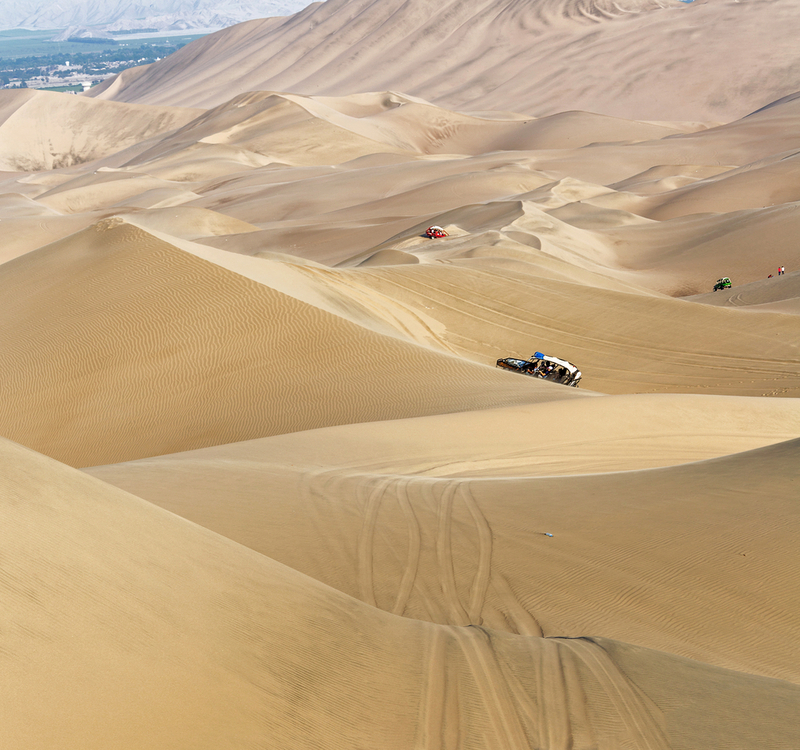 The buggy drove with such a speed up and down the dunes, that the little 12 year old in you screams with delight….weeeeee!!! Within a matter of seconds we went from 0 to 35mph with nothing more than fine grains of sand serving as a grip. The scary part is when you can’t even see over the hill you are about to hurtle down, but you soon realise that the steep dunes are the most fun! After some speeding fun, we drove to the top of a dune so we could do some sand boarding. I would suggest renting a real snowboard, with the right gear, so your feet are properly attached to the board. This way you are able to do turns. Before booking a tour, remember to mention this to your tour guide, otherwise they give you a ‘Chile board’ which is basically just a wooden board and with nothing to attach your feet to. Sand boarding is a lot of fun for everybody, whatever your age or fitness. If you fall, the worst thing that can happen is that you might need a bit more time in the shower, removing the sand from every possible corner of your body! 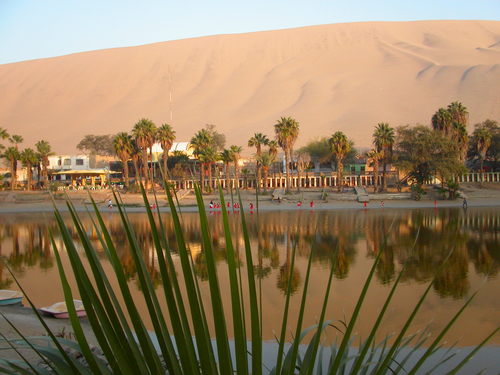 Click for Peru holiday ideas.